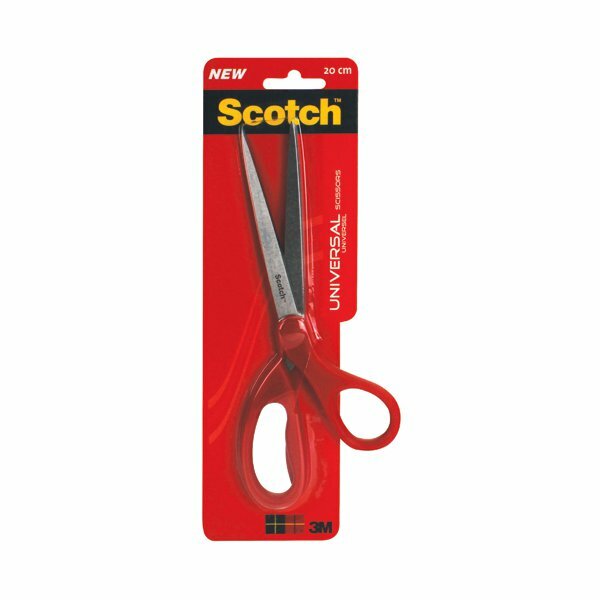 These Scotch Universal Scissors feature stainless steel blades, which resist corrosion for enhanced cutting performance. Designed for both left and right handed use, the 200mm scissors also feature comfortable red plastic handles and have a blade length of 105mm. This pack contains 1 pair of scissors for home or office use.